First and foremost, we would like to thank Patrizia Netal (KNOETZL) for her unparalleled commitment and the countless hours she dedicated to YAAP over many years. Patrizia’s term ended at the close of 2018. We will sorely miss her – but trust she will be around for one or the other future YAAP event. On the bright side, we are happy to welcome Yoanna Schuch (WilmerHale) to the team. Whilst Yoanna will join the Advisory Board, Lisa Beisteiner (zeiler.partners) will replace Patrizia as YAAP Co-Chair. Lisa is looking forward to her new task of shaping this YAAP year together with Co-Chair Filip Boras. Also, we are excited to work with Yoanna and can’t wait to exchange new ideas and new impetus from London. Enjoy reading and see you on 7 February at our first 2019 Round Table with Flavio Peter from Wenger & Vieli or another YAAP event! YAAP offers a special rate for YAAP members, who register and pay the registration fee on or before 1 February 2019. So be quick and register here. On 5 December 2018, at the occasion of the 60th anniversary of arbitration’s magna charta, the YAAP Anniversary Conference kicked off with a lively discussion on whether it is "Time to rejuvenate the New York Convention? ", moderated by Professor Dr. Christian Koller (University of Vienna). Dr. Reinmar Wolff from the University of Marburg delivered an illuminating key note on the topic, highlighting the challenges and complexities in today’s application of the convention, followed by Natascha Tunkel (KNOETZL), who shared her practical experience on enforcing arbitral awards, and Benjamin Siino (Shearman & Sterling, Paris), passionately promoting the French model of enforcement of awards which had been set aside at their origin. We never imagined that enforcement of awards can be so much fun: Apart from being highly educative, the speeches proved unexpectedly entertaining and managed to engage the audience in a vibrant discussion. The well-attended YAAP Conference was preceded by the YAAP and Arb|Aut Annual Meetings. Afterwards, discussions on the New York Convention continued until long over cocktails hosted by YAAP. On 13 December 2018, on the eve of the official launch of the Prague Rules, YAAP held its first Round Table in Prague, co-organized jointly with our Czech friends. The Round Table was well attended by arbitration practitioners from the Czech Republic, Austria, Russia, and Belarus. In the relaxed atmosphere of the Prague coffeehouse Anthill, a panel comprising Martin Hackl (Konrad&Partners, Vienna), David Seidl (Squire Patton Boggs, Prague) and Kristina Bartoskova (Baker & McKenzie) discussed the enforcement of awards in both jurisdictions. 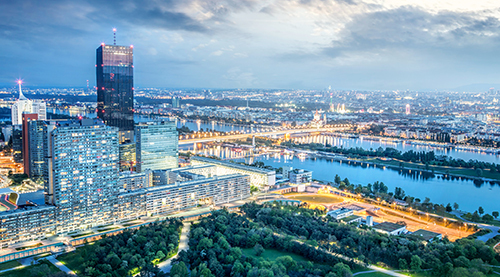 The panel was followed by a controversial Oxford style debate on the motion "By 2030, the Prague Rules will have replaced the IBA Rules in almost all Continental European international arbitration." Dimitra Tsakiri, KNOETZL, and Desiree Prantl, Freshfields, argued in favour of the motion, while Rene Cienciala and Ondrej Cech argued against it, with Rostislav Pekar moderating the debate. The public vote taken by the floor at the outset of the debate established that, but for the Russian "delegation", practitioners were united against the motion. After the speakers had delivered their oral advocacy, the moderator engaged the floor in a lively debate, concluded by a final vote in which at least some formerly critical participants had apparently lost their firm views on the Prague Rules (and were left undecided on the proposition). Contrary to the martial language encountered in some legal writing on the subject, the event ended on a conciliatory note, expressing hopes for a peaceful co-existence and cross-fertilization of the two sets of Rules.